LIMITED TIME SALE: ONCE SALES REACH 1000 UNITS, WE WILL INCREASE THE PRICE TO $39.99 PER UNIT! Want to enjoy a less cluttered closet? 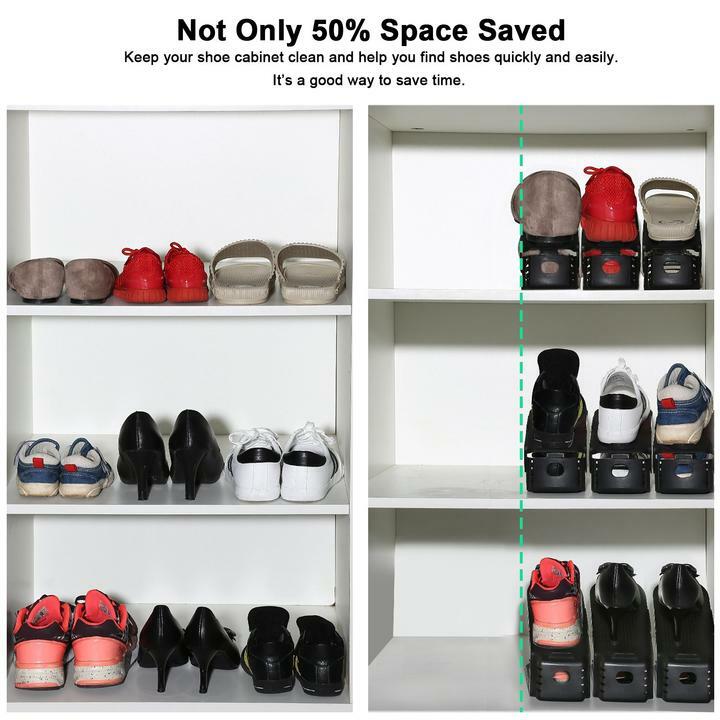 Our space-optimizing shoe organizer will help you double your shoe storage space in a snap!